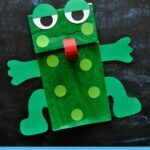 These past few months we’ve had so much fun with all of our puppet crafts. 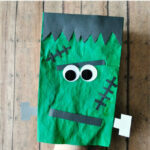 Since St. Patrick’s Day is coming up, we decided to make more puppets to enjoy for the holiday. 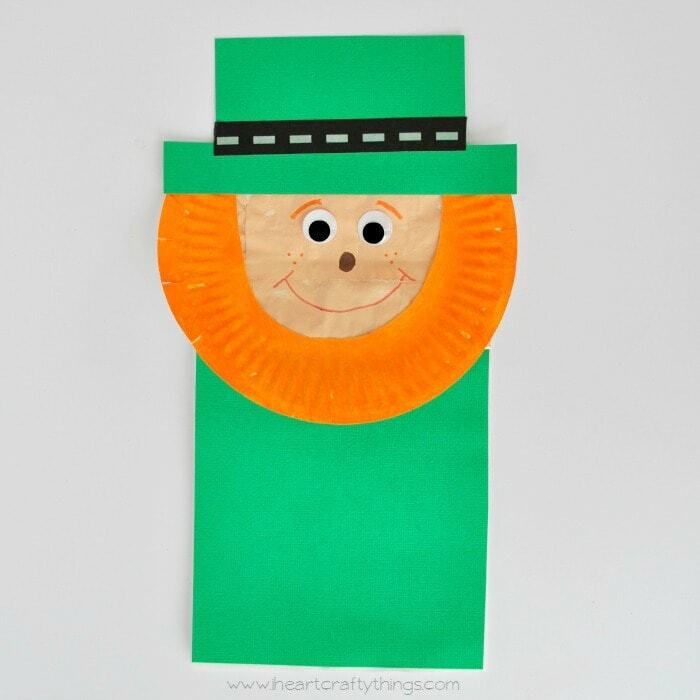 The first one we made is this Paper Bag Leprechaun Puppet. The paper plate beard adds some great texture to this craft. 1. Start by painting the bottom section of your paper bag with your skin tone paint. 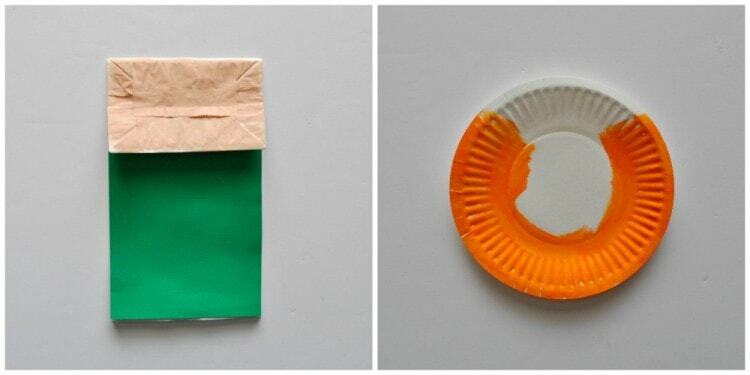 Also, paint the rim of your small paper plate with orange paint. Let the pieces dry completely. 2. 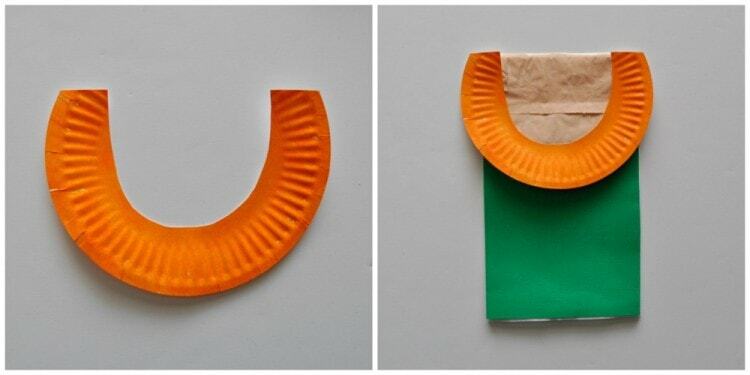 Cut a rectangle section from your green cardstock paper to cover the bottom of your paper bag. Glue it onto your bag. 3. 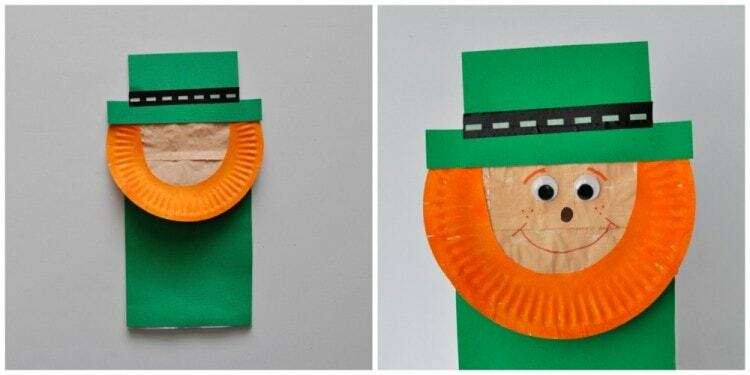 Cut off about one-third of your paper plate and then cut out the inside section to make the Leprechaun beard shape. 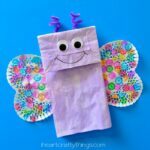 Glue it onto the face of your paper bag. We used tacky glue to make sure it was pretty secure. 4. 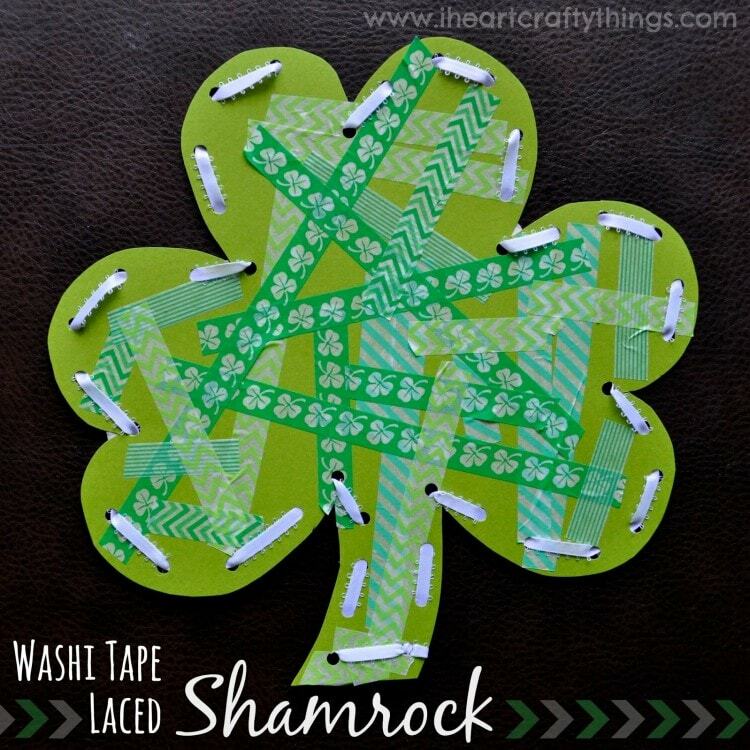 Cut a Leprechaun hat out of the rest of your green cardstock paper and glue it to the top of your Leprechaun face with your tacky glue. 5. Put a strip of black washi tape along the brim of the hat. 6. 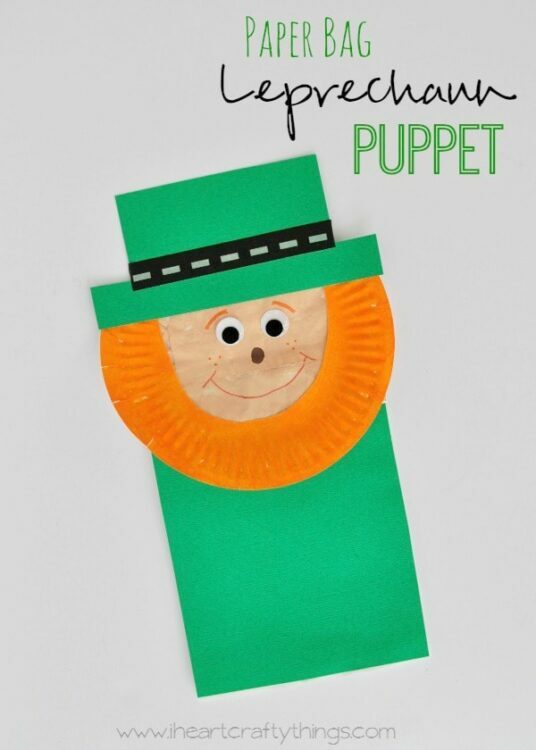 Finish your Leprechaun puppet by gluing on your googly eyes and using your markers to draw the details on the face.